Total for June: £71.04 ($111.65). April and May were by far my two strongest months ever with over £170 and then over £150 dropping into my account over those months. As a result, June was always going to look a little feeble in comparison. Nonetheless, over £71 is another strong month for my portfolio. Maybe not herculean like the last two months, but strong. Also, unlike May, June is a more "ordinary" month in the sense that none of my payments were special dividends. All were ordinary and thus--hopefully--will be repeated next year. Those who have been following my progress closely this year will remember that April 2015 alone pushed me towards the largest quarterly income I have every received. With last months bumper dividends and this months additional funds this gap has been widened greatly. From £171.24 in Q4 2014 my new quarterly income "to beat" is £321.57. That may stand for a little while (maybe even until next year and beyond). However, I hope it will soon be approached at least! And how does June 2015 compare to June 2014? Rather nicely actually. Last year I managed to scrape together £19.24. That means this year's total is edging up towards being 4 times larger than last year. That is quite a nice annual progress. You can see more on my progress on my Dividends Received page. Monthly Average Income: The two previous months--which were massive totals both about double June's total--meant that the monthly average income for the year was nearing the £100 mark. That was quite staggering. Clearly this more modest total has pulled us away from the £100 average a little. Where to? £92.86. I am still amazed by this figure. If I could retain this throughout the rest of the year I would have an annual income of nearly £1,115. As it turns out, the next few months will be weaker which will obviously lead to a drop in this average. But I am in a strong position to reach my goal at present. Monthly Expenses: Also, May was another good month for expenses reduction. Last month my expenses £725. This month the continued downward shift of expenses has continued with £716 being this month's total. This means that my average annual expenses has dropped further from £775 to £745.50. That is very good going indeed. This is especially the case when you realise that last year my average monthly expenses came out at £845. Work Freedom Day: And what about my Work Freedom Day? How many days have I bought myself for this year? The answer is--thanks to high income and low expenses--another 3 days. My dividend income now gets me up to 22 January 2015. All told, this should mean that that I am on track to meet my 3 February 2015 target by the end of the year! FTSE 100 marketing and media giant, WPP (LSE:WPP). All in all, these new additions should add about £29 to my predicted annual dividend income. This is pretty good though not massive as both are high dividend growth rather than high yielding shares. However, with both WPP and Stock Spirits I will only see a small proportion of that income coming in this calendar year as I missed both the Final dividend payments for these companies. I should see interim payments for both, however. ★ = New addition this month. ★ = Large top-up purchase this month. ★ = Large sale this month. 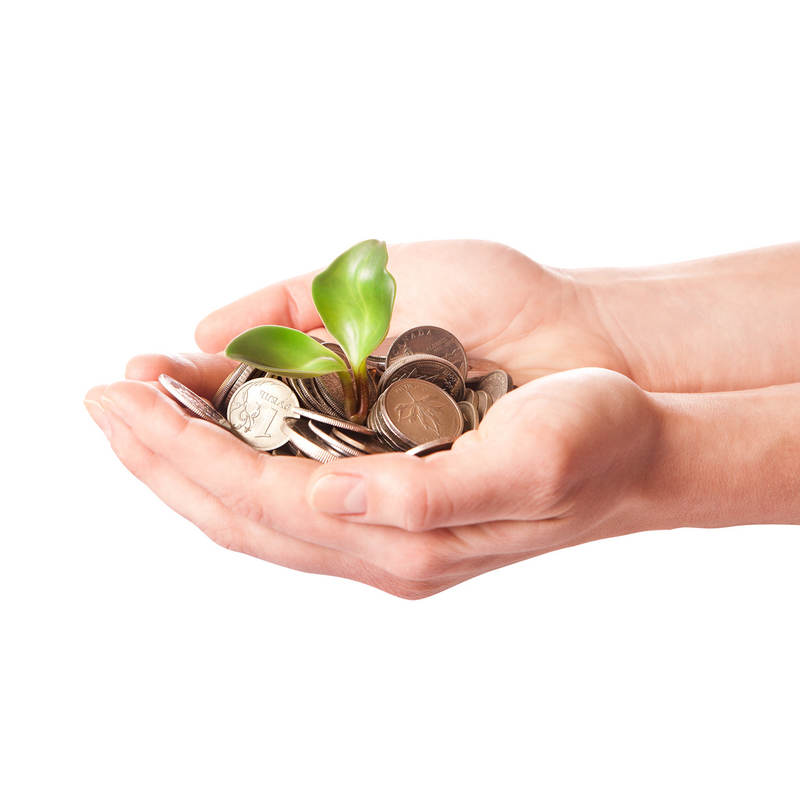 Last month I published my scheme for linking my investing activities to my charitable giving. This month has seen an additional £3.04 added to my charitable microfinance account. This means that 2015's dividend income has resulted in £17.90 drop into that account so far. This is a hefty £14.96 ahead of last years total by this stage in the year. For my standard charity giving total May added a minuscule 4p. My total for 2015 is now £1.89. That is about 95p ahead of 2014 up to this point in the year. How did your dividend income look for June? What new holdings did you pick up or old ones topped up? The "Yield" column takes into account only this year dividend or is it a summary of the position since it started? Thanks for the comments, Stalflare! I know. I had the same feeling when I started. However, if you keep at it your portfolio soon gains its own momentum and you can't really stop the rise! It is a great feeling. It is quite amazing to be thinking that a £70+ monthly income as a modest one. Last year that would have been my second largest monthly income total! Yes, my portfolio is showing a capital loss at present as well (after the Greek issue). Although, with dividends included it is a gain. This does not surprise me, however, as I have loaded up on "distressed" companies at present for the long-term as I have a many decades investing horizon. Hence the likes of BHP Billiton, GSK, AstraZeneca, Shell and BP feature strongly. In there are most of my biggest capital losers at present. I'm optimistic that over the long-term they should start throwing me into the green! That is right. The yield column is based on the historic dividend payment last year not the predicted dividend or the entire dividend income returned since I opened the position. The yield figure is also on price and not on cost. At present, my portfolio's yield (if analyst predictions of dividend yields are correct) will rise about 5.3% on the figure above. Not bad. Keep up the good work. You will soon be pulling together similar dividend income figures I am sure! I would be interested to know how you purchase extra shares with the dividends that you receive. My platform charge me £5.95 per deal and so it would not be possible for me to purchase 1 extra Barclays share, for example, with the £4.10 dividend that you received. Firstly, welcome to the blog. Hope you've enjoyed reading some of the content. I am with iWeb (which I plan to publish a fuller review of at some point). They have an automatic dividend reinvestment service as do most. However, some are better than others. In iWeb's case they charge 2% per reinvestment in broker fees (quite high) but they do not have a minimum charge and so, for me, it is pretty reasonable to allow them to do that. I know that some brokers have a lower fee, say 1%, but have a minimum charge, say £1, which would of course make such a reinvestment uneconomical. I am increasingly of the mind that targeted reinvestment rather than automatic reinvestment is the best way to go. However, I have not yet made the switch! Do check what you broker's reinvestment charge is, though. If it is pretty nice like iWeb's you should definitely consider trying it out depending on how your portfolio looks. Another great month D2, always love reading these types of updates! We had a similar month, with £53.70 coming into the account we blog about on There's Value. We own a fair few of the same companies too! I know, M, I love reading (and writing) them as well! Gives you a nice boost as you can see how progress is being made and how you can do it too! That is a solid month's income. June is a bit of an odd one for dividend income. I had quite a few payments as you can see but all but one were the smaller interim payments. Carillion being the exception. Next year I would also receive Legal & General's final dividend payment which should make a nice contribution to a growing total! Here's to June 2016! Yes, we have a surprising number of companies shared between us. Hopefully we are both right! PS: Welcome back! Great to see you not only back on There's Value but over here! Nice dividend income for June! It is always good to reinvest this back into the stocks. I topped up National Grid in June and bought some Legal and General. Unfortunately I received no dividends. Thanks, Laura. Yes, it was a pretty solid one. look as though next month will be around the same lines. Yes, it certainly is good to reinvest. I am--as I hinted above--seriously thinking going to a more targeted rather than automatically reinvested approach sometime. Though I am in no rush at present. Quite a few investments don't provide enough income to buy a share with so I have the best of both worlds at present. Sounds like a couple of good buys. NG will be a bumpy ride for a while, I suspect until interest rates settle. But over the long-term it should do sterling work. If they continue at these prices I will seriously consider a top-up! Next June will be very different for you dividend wise. For a start, Legal & General should throw off their final dividend then. Be interesting to see whether July provides you with anything! I'm really liking what I see, you had such a great a month. Thanks for sharing all the nice details, I'm a big fan of the look of your updates :) Keep at it my friend! Thanks, Ryan. I am pretty happy with June. It is nice to have a month which "feels" a bit weaker but is actually a superb one. It shows how much progress is being made. I am glad you like how the updates look. I am constantly tweaking them so they are more fun for me to compile and for you all to read. Glad it seems to be working! I certainly will keep at it. Same to you. You had such a strong capital injection last month it is going to look excellent once those new dividends start coming in! Nice dividend income for the month of June! 69.65% on your annual goal already? You're way ahead of the game. Keep up the great stuff. Yes, I have made much more rapid progress this year than I had even hoped. I will be doing a half-yearly review shortly. I suspect strongly many of my goals--including total dividend income--will have to be revised upwards. A nice thing to have to do! I certainly hope that I can keep it up. Cross your fingers! It is looking good at present though! I've seen you on a few blogs I follow so I wanted to catch up on your progress. Your annual comparison is impressive! Also, congrats on your low monthly expenses, that is extremely low compared to what I'm used to seeing. Yes, my expenses are spectacularly low at the moment. How long I can keep it up is unclear. I am fortunate in not having (or needing) a lot of the big recurring expenses at present. That will, sadly, change at some point. But I am making hay whilst the sun shines for now. I honestly thought I would struggle to drop it down from last year's total. Shows what can be done when you're focused! Look forward to seeing your around the blog in the future!